Construction of a new 34,000 SF natatorium for top high school program in Illinois. 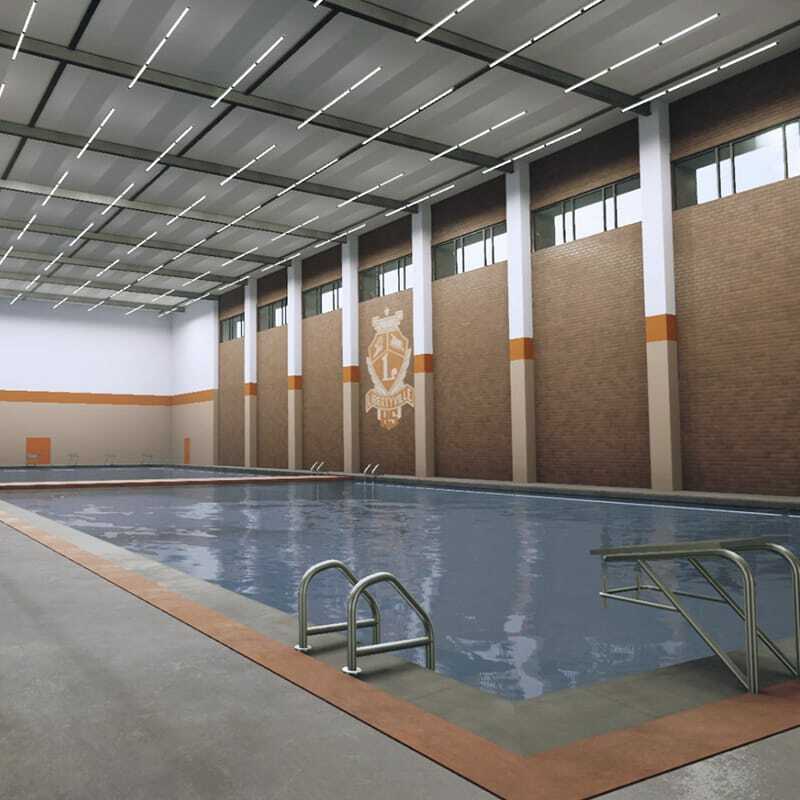 Gilbane was selected by the administration and Board of Education to be the construction manager at-risk for Libertyville High School’s new natatorium. U.S. News & World Report ranks the District among the Top high schools in Illinois and nationally. The new $20 million, 50-meter natatorium includes approximately 34,000 SF of space with locker rooms, spectator areas and support spaces. Libertyville High School’s existing pool was built in 1971 and was 25 yards long, or just under 23 meters, with a shallow diving area. The new eight-lane, 50-meter pool also has a deep section for diving, giving the District expanded capacity to host additional athletic programs and competitive events. With the addition of an upgraded pool, the old pool will be repurposed into various educational spaces. The driving and parking situation during construction, water runoff and the lack of a plan for the existing pool were the top concerns before approving permits. The project team worked collaboratively with the owner to ensure these challenges were successfully addressed throughout construction. The project team also separated school activities from the construction site to ensure the safety of students, staff and visitors.